The Guelaguetza festival gives the different communities in Oaxaca the opportunity to gather and celebrate their diverse cultures and traditions. There are around 16 different ethnic and linguistic groups in the state. All these groups gather for this festival wearing traditional dress and performing dances relevant to the region they hail from. Once the dances have ended, items are tossed into the crowd, which are from the different regions. The festival takes place during July and in 2015, it will take place on July 20th and 27th. In the Zapotec language, Guelaguetza means ‘offering’. Traditions in villages based in Oaxaca include celebrations for events such as christenings, weddings, or patron saint feast days. On these days, the attendees to the party will arrive with items required for the event, such as food or drinks. 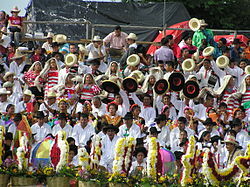 Each item that is brought to the event is viewed as an ‘offering’ or guelaguetza. This reciprocal action reinforces the social ties in the community and this is normally maintained for a very long time. The festival as it is today combines the celebrations to the corn goddess, Centeotl, as well as the celebration of the feast day of Our Lady of Mount Carmel. The festival used to be celebrated on the Fortin Hill within Oaxaca, but during the 1970s an auditorium was erected for the celebration. It is also used for other celebrations and events at other times of the year. The auditorium has a seating capacity of 11000. A special feature of the auditorium is that it was constructed within the hill, which allows spectators to not only look down on the stage, but also have a fantastic view of the city below the auditorium. Each year, a young lady from within the local communities is chosen to represent the corn goddess, Centeotl. This does not take the form of a normal beauty pageant, but is instead based on the young lady’s knowledge of the traditions linked to her community. Those who would like to attend the festival can purchase tickets via Ticketmaster Mexico. The purchased tickets are for seating in sections A and B of the auditorium. The seating in sections C and D are not sold as it is free seating. The purchased seats are unreserved, so ensure that you arrive early to get a good seat. In view of the popularity of the festival and that your seat is not reserved, you should ensure that you do not experience any hitches on your way to Oaxaca. This includes ensuring that you have adequate Mexican car insurance in the event that you are stopped by the authorities or you happen to be involved in an accident. 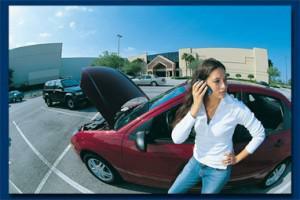 There is no reason why you should not purchase Mexican auto insurance. Firstly, it is a legal requirement within Mexico and the other reason is that it offers you protection and security. You can purchase Mexican vehicle insurance online, or if you forget to do that, you could also obtain it at the border. Purchasing insurance at the border post is not recommended as you will have to stand in long queues and will not be offered the same options as online. 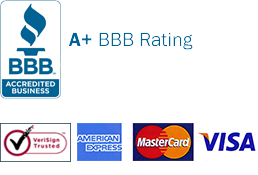 You can purchase your Mexican auto insurance online from this MexInsuranceStore.com URL. Prior to going online, you should decide whether you want liability only or comprehensive cover. If your vehicle is of high value, it is recommended that you opt for comprehensive cover as it will cover you in any eventuality. Liability-only policies only cover the damage to third parties. Once you have your car insurance policy in hand, and you should carry a copy of it with you at all times, you can set off for the festival. There are other events that occur during the two weeks of the Guelaguetza festival, which you can also attend. Oaxaca is a very interesting city and there are many aspects of the area that you may want to see. It’s worth taking some cool goodies from Mexico to your loved ones. It feels like they, too, have that wonderful experience in Mexico. Adventurous tourists can take a boat from Ensenada heading to Guadalupe Island. The place is an uninhabited volcanic sanctuary in Mexico. Why do many drivers think they don’t need Mexico insurance? Being jailed is the first action to take place if authorities catch your driving without car insurance in an accident.